Tyra Banks attends "America's Got Talent" Season 13 Live Show Red Carpet on September 11, 2018 in Los Angeles, California. Tyra Banks accessorized with a fab pair of feather and stone earrings by Ranjana Khan. 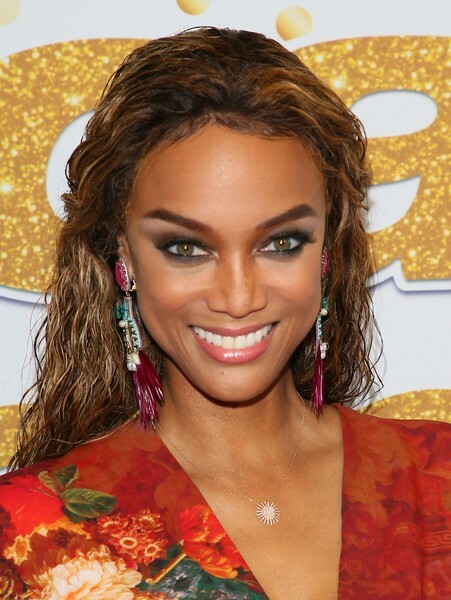 Tyra Banks rocked a just-got-out-of-the-shower 'do at the 'America's Got Talent' season 13 live show.